The World Curry Festival draws together the tastes of the Sub-Continent, the Caribbean, Thailand, Malaysia and South America into one three-day celebration of the glorious curry. The 21st to 23rd June, 2013, between the fountains of the brand new City Park in Bradford, in the shadows of the most stunning town hall in the whole of Britain. Let’s not be coy about this … we Bradfordians know a thing or two about curry. We’ve all been eating it since we were very, very young indeed, and we’re quite demanding in our tastes. We like our Asian food to be made properly, with fire and passion, with the freshest ingredients, full of life and character. If anything fuels this city, it’s curry. 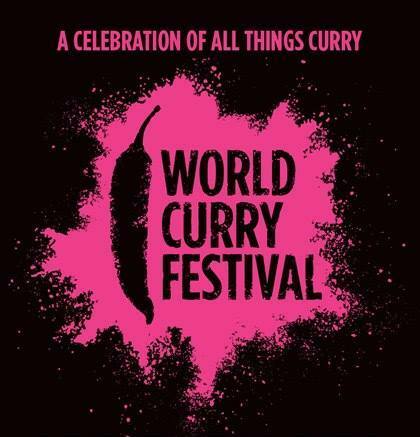 If you’re going to hold a festival dedicated to curry, it really has to be staged in the mighty city of Bradford, and there are no better places for this sort of thing than the superb City Park. That development, sneered at and mocked right through its incarnation and realisation, has proved to be a revelation – a flexible, inspiring, fun, open space that fits perfectly into the heart and culture of the city. Apart from all that, there’s the small matter of the food. The festival will feature a range of demonstrations from big-hitters like Mumtaz Khan, Mohammed Aslam, Hermant Oberoi and Stephanie Moon. There’s also the chance to learn how to make a proper curry – the festival includes free classes on the art of curry making led by tutors from Bradford College. This is quite an opportunity … the College turns out some talented graduates, and there’s nothing like a curry you’ve made yourself. I know that plenty of people are willing to give making Asian food a try, given the hammering the various curry recipes get on this blog, so here’s a chance to pick up a few tips under some expert guidance. Did you go or anyone reading? What a great idea. Definitely a gastronomic event of note: kudos to the organizers.